In the #RoseAllDay category, you can’t beat Lucy Wines 2017 Rosé of Pinot Noir. First, the stunning bottle is all I need as my table centerpiece. The magnum is even more impressive,a tall slender beauty. Pop the cork and pour this lovely pale rose-colored wine, and fresh strawberry notes jump out of the glass. Lucy comes from the Pisoni family in Monterey County’s Santa Lucia Highlands, and is made by Jeff Pisoni. Fresh strawberry and watermelon aromas and juicy strawberry fruit, with crisp, refreshing acidity make this wine shine. 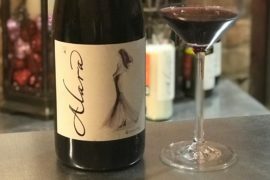 Looking for a versatile, go with everything, food-friendly wine? Lucy is it. I also love that Lucy gives back, supporting breast cancer aid and research by donating $1 of every bottle of Lucy Rosé sold to charity. What more can I say, this is not just #summerwater, Lucy is great any time of year. 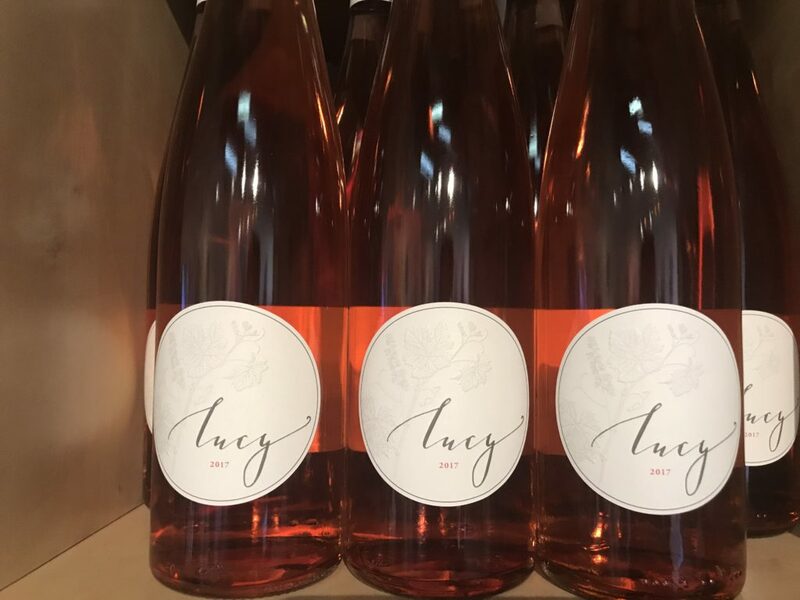 A more broad-shouldered, concentrated Rose by most definitions, the Lucy Rose of Pinot Noir smells and tastes of red rose petals, red plums and cherries, Indian spice, peach pit and cranberry. It’s all saignee (bled off juice thereby concentrating the resulting Pinot Noir) from “Pisoni Vineyard.” I like how its slight bitterness and concentration will match it with marinated and grilled or fire-cooked white meats. Lucy is the 2nd label of Pisoni Vineyard. Owner/Winemaker Jeff Pisoni makes delicious, good value wines for the Lucy label. The Rose is particularly cool because one dollar is donated to breast cancer research for every bottle sold (wholesale or retail). VERY generous! Read more on Dan Dawson’s Wine Advisor.